This is a Christmas cactus that looks like my grandmother's of so long ago. It sits in my older sister’s dining room, my oldest sister’s home office, and my sister-in-law’s entry way. The biggest one resides at Kansas State University’s Gardens, probably in the historic plot with a label announcing its origin. A monster, she is, so large not one of us could contain her as a whole in our homes. Instead, she was sliced and diced into “cuts” to preserve her nobility with the family. I’m speaking of a Christmas cactus that my generation remembers hiding out in our grandmother’s washroom throughout the year until Christmas when she emerged and claimed her place of honor in the dining room's west window. A special plant carrier complete with metal pan held her beauty throughout Advent until Epiphany when the doors to the dining room were closed once again to save extra coal from being fed into the furnace. Often, she was blooming at this time of year; but sometimes not, and that caused consternation for our said grandmother. The plant’s historic reputation was one of blooming at the right time, gracing a huge Christmas Eve family dinner, and anything short of that caused ongoing conversations with furrowed brows. As best we can figure, this plant may have been brought from Sweden by said grandmother’s mother, which makes it at least 150 years old. It’s very possible that all of Grandmother’s sisters had “cuts” from this plant flourishing in their homes when we viewed these “offshoots” as children. After Grandmother’s death, our mother cared for the heirloom plant, and upon our mother’s death, my next older sister agreed to plant sit. She is known for her green thumb, and we trusted her to do her magic with our family treasure. She did, and behold, the time came for this sister to make a decision. She and her family would move out of their house to make room for the plant, or she would find a loving, larger home for it. That’s when Kansas State Gardens made an appearance in this story. They saved my sister’s family’s demise and agreed to honor the plant with a place in their facility. They have the root plant; family members have “chutes” from the plant that now are vying for size in the three mentioned homes just as their parent plant did. These beautiful blossoms speak volumes when you get down close and listen carefully. Nevertheless, we love our Christmas cactus, and I hope someone in the family makes regular visitations to the grandmother of them all. And, I’m ready to admit to this cadre of sisters that I have attained strength enough, maturation enough, and courage enough to take on a cut from one of their roots as my own. Many stories must abound about Christmas cacti, but this is mine, and I’m sticking to it. Morganville, Kansas, performs to raise money for Feves, France, in 1948. Just as I warned myself, Thanksgiving turned into a writing opportunity. My family’s hometown chatter around the turkey platter focused on an upcoming celebration in my teeny-tiny hometown of Morganville, Kansas. With a population of fewer than 300, which includes all dogs, cats, and gerbils, big to-dos don’t happen often. But, the scant population is gearing up for a spectacle on December 29. This is what happened: Sixty-some years ago, an enthuiastic Morganville Methodist minister challenged the community to think bigger than itself. He and one of Morganville’s forward-thinking matrons generated enough interest that the town adopted a small hamlet in northeastern France, called Feves. Seventy-five percent of the Feves’s community had been destroyed “by our boys during World War II” as one committee member stated. The basics of shelter, food, and clothing were nearly nonexistent. They questioned their strength to reinvent themselves and move on when Morganville said they would help. August 27, 1948, Morganville residents blocked off downtown streets and draped foreign flags around an outdoor amphitheater. More than 2,000 people from east central Kansas gathered to support the rebuilding of Feves. A pageant, conceived, written, rehearsed, and ready for performance in fifteen days, began with the high school orchestra playing a rousing overture. Actors recreated vignettes of Morganville’s history and stole the amphitheater’s center stage while an old ex-cavalry horse provided rides for children around the city square. More than one-hundred-fifty actors and dancers presented international scenes, tributes to the new sister city, and memories of Morganville’s beginnings. Around the perimeter, revenue was collected from bingo games, penny-pitching, the sale of forty gallons of homemade ice cream and dozens of cookies made from German, French, Swedish, and Norwegian recipes. The money, dropped into old cream cans, became milk rations for Feves’s babies. Morganville mothers placed baby clothes in one can and stout shoes for Feves’s adults in another. Community women made wooolen comforter-squares out of old pants and repaired old clothing to be sent. 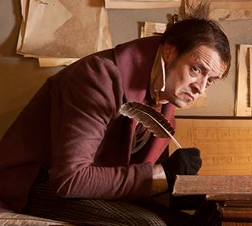 Newspapers and radio stations across the nation broadcast the story of Morganville and Feves. Elmore McKee, Yale University's first chaplain, wrote a book about the effort, The People Act. When Milton Eisenhower, brother of Dwight D. Eisenhower and one who believed in people-to-people arrangements, learned about the Morganville-Feves connection, he influenced his brother, then president, to create Sister Cities International in 1956. Morganville was the first, and to this day, is still the smallest sister city. Feves, France, devastated by World War II destruction, welcomes aid from Morganville, Kansas, residents. Seems like a good day to take a big long run. What a gift holiday seasons bring or give or dump on us. Take your pick of delivery methods. It seems to cause a shift from everyday mundanity to lights and shopping craziness and softened smiles. You know about all of the above if you’ve lived through very many Thanksgivings and Christmases. Then you won’t be surprised to learn what my gift is this week: an awareness of the many connections I’ve made that have enriched my writing life. Let me name a few. My writing journey seriously began at Vermont College of Fine Arts where I gathered up a Master’s Degree between 2002 and 2004 in a limited residency program. I traveled to Montpelier and fulfilled a ten-day stay five times during the two years, working with a different mentor each semester. Upon reflection, I gleaned a valuable picture of the publishing industry and how it works. Yes, I learned a great deal about writing too, but the greatest eye-opener was industry news (and January weather in Vermont). Fast-forward to today’s writing journey, which includes a bi-monthly two-day retreat with two Kansas children’s authors. We convene in Emporia, Council Grove, El Dorado, our homes, or cabins on lakes. We read each other’s materials and mostly talk about again, publishers and the submission saga. Being a writer in the Midwest is a lonely existence; our gatherings help. I include in my writing journey those people about whom I’ve written. 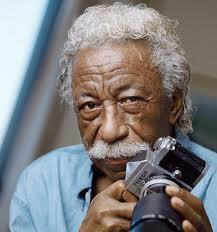 Gordon Parks has been with me since Vermont days when I first began researching his story and writing about him. I’m forever grateful that the relationship included face time with him on several occasions. I can still hear his voice and the little “click” he made with his tongue. He taught me about persistence, reaching goals, and enjoying the ride. Most of all, never giving up. I also think of Coach Tex Winter and the lessons learned from studying his life. His trip was about persistence too, but of a different vein. He straight-lined his life through sports—mostly basketball—to a fine reputation of changing the way the game is played. I admire him for that. He’s 91 years old and still as spontaneous as ever. His smile remains. Secret Service Agent Jerry Parr holds a special place in my writing log also. He converted a slip-shod childhood into a life of service to his country to saving President Ronald Reagan’s life the day John Hinckley decided to destroy the president. Jerry is the man you see in the famous pictures shoving Reagan into the presidential limo at the Washington, D.C. Hilton Hotel. A book called Rawhide Down by Del Quentin Wilber describes that day as if you were there. Jerry and his wife Carolyn have since written a book, In the Secret Service, about Jerry’s life. My manuscript about Jerry is aimed at middle grade readers and describes his growing-up life and how it contributed to his Secret Service work. I’m grateful for all these subjects and the many more about whom I’ve written shorter pieces over the years. Tonight, I’ll be joining an informal group at the local library. We call ourselves the Scribblers. Remember how I mentioned the isolation of being a writer? For that reason, I set up times and places where writers gather, talk, and commiserate about how hard it is to come up with a piece that satisfies us, the writers, (and publishers). I think I’m fair in saying that only another writer knows the solitary nature of BIC (Bottom in Chair) for hours and hours and understands the need to be around people on occasion. Reading brings life-like companions to a writer’s life also. Think about how real characters become to us. How much we care about what happens to them. How much we crave a little surprise that makes an arm-pumping satisfying ending. Which help make the point that no matter what we writers do, we can call it research. Whether it’s people-watching at the airport, surviving a family holiday get-together or sitting hunched up on the closet floor with a book and a flashlight, it’s research. Believe me. What will I be doing Thanksgiving Day? Researching more about what makes my family tick. Taking mental notes about words, gestures, and attitudes and how I've been shaped by them. And if I were traveling that day, I’d probably claim mileage as business expense. This idea came from my good writer friend named Lori. She uses it with her college English classes, and I used it with seventh grade Writers’ Club gifted students yesterday. It worked as well as Lori predicted it might. This is how it goes: Writers have hard copy of their stories in front of them and are given highlighters. Instruction: Ask them to find the first mention of their main character/ narrator/ protagonist and highlight it. Continue throughout the first three pages, looking for subsequent m/c descriptions. Step two: Choose a second color highlighter. Use it to mark words and phrases that reference the main character’s problem or conflict. Continue by finding further development of that conflict and highlighting those words or phrases. Step three: Choose a third color highlighter. Use it to identify descriptions of the problem’s solution or resolution. Step four: This is where the soup gets thick. Look at what remains, unhighlighted, and locate additional characters and settings and events or scenes. Determine if they are essential to understanding the main character, identifying the problem, or enhancing the solution. If not, they most likely can be cut. Wailing and groaning and doubled-over stabs of pain describe what happened when the seventh graders grasped the possibility that some of their “darlings”--words, sentences, paragraphs, or scenes--might be sacrificed in the name of a good story. Their teacher and I assured them they can copy and paste into another document to save the precious, hard-earned writing for future stories. They started breathing again. But more agony filled the room when they realized they had dealt with three pages only. They are prolific writers, overachievers really, and they didn’t relish the idea of continuing the cut. The beauty of this idea—thank you, Lori—is the ease with which you, the instructor, have just avoided editing eighteen stories—multiple pages—between now and the next time you meet. It really works, and I can’t wait to apply it to my own writing. Montreat, NC, Conference Center Assembly Inn. What a lovely setting for a writers' retreat. More travel this past week: I attended a writers’ retreat at a conference center called Montreat, near Asheville, North Carolina. Beautiful hills, trees, tinkling streams, and many lovely buildings for meeting places. We were a group of twelve female writers from several states, all gathered to push our fiction writing to its next logical step regardless of our backgrounds—architect, urban planner, massage therapist, champion weight lifter, teacher, mechanical engineer, etc. Since I was the least experienced (no experience at all with novels), I won the prize for cutting the most characters and the most text from my original manuscript. Perhaps as much as 90%. However, I do have a concrete plan for moving forward with what remains. Stephen Roxburgh, editor and publisher of his own company known as namelos, his wife, Carolyn Coman, and their long-time editor, Joy Neaves, guided us through the dark tunnels of discovery and radical rewrites. Each of us met with all three editors at least once a day and hunkered down with our computers in between times. It was a most productive event. A couple of things to share: We were encouraged to determine the types of plots we had created. Were they Plot of Action—one thing happening after another, no changes within the main character between the beginning and the end? Examples of this type of plot are James Bond stories and Indiana Jones stories. One action followed by a more intense action, etc. until the whole thing blows up and Bond or Jones emerges as the hero, whole, intact, and unchanged. Or were our stories a second type--Plot of Character--where the point of the story is the change in the main character’s thought process or maturity level or degree of awareness and understanding? These would be typical “coming of age” stories that young adults read. Most of us were writing Plot of Character stories. Our protagonists made discoveries that grew them, increased their knowledge base, or invited a higher level of emotional and intellectual functioning. Another lovely setting or meeting with editors, overlooking this lake. The process is like tying my right hand behind my back and learning to use my weak, teeny tiny left hand muscle only. I’m determined to give it my best. I’m motivated to tell this story (the one about Duffy). And I have a specific plan of action. The fun has begun. Only sometimes, it’s not fun! 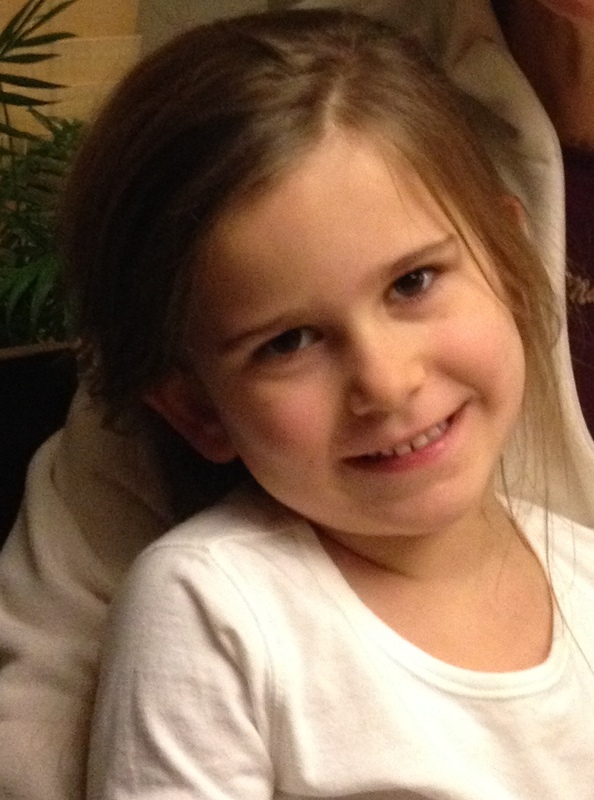 Granddaughter Avery, looking so grown up. Remember those grandkids mentioned last week? Well, I've individually breakfasted the three. I had a great time, and I hope they'd report the same thing. First was Avery. She's a middle child, as I am, and I identify with her, sandwiched between a totally-alive geek brother and an even more lively four-year-old sister. I asked her how it was to be caught in the middle. I'd have to say her answer was a writer's delight. "Well, Nanann, it's not nearly as bad as books make it out to be." In other words, she has informally and perhaps unintentionally, done her own research about her predicament or her advantage, depending on her state of mind at the moment. She went on to say that her position as middle child meant she was left alone at times, and she liked that. In fact, she seeks out alone time, disappears now and then, and likes that others don't seem to notice. I'd say she's quite happy with her station in life. Second was Brynn. At four, she was initially most unhappy that she had not been the first to be treated to a grandma-induced breakfast. Also because she's four, she shed some noisy tears, rallied to be happy and delightful, and gladly became the second breakfast guest. I had planned to take Grey, fourteen, next, but Brynn insisted. I told her we would need to negotiate the change with Grey, and did she know what "negotiate" meant. "Yes, Nanann. It means to talk." Grey and I looked at each other. Grey said, "Not bad." I answered, "For a four-year-old." So, we negotiated, and Brynn was second; Grey, third. Brynn had nine-grain chocolate chip pancakes, almost an oxymoron. I had nine-grain, pumpkin pancakes. Yum on both counts. Conversation was animated, energetic, and totally child. Grandson Grey, as tall as Nanann. Third, this morning, was breakfast with Grey. I loved hearing about computer camps he attended this summer where he designed original apps and evaluated and re-designed cyber security systems. Guess where he's headed? Geek land, and he's appropriately proud of it. Granddaughter Brynn, cute as always. Additional bonus: a niece and her family who live nearby visited yesterday. She had two teenagers. Pizza, salad, and lots of catchup conversation completed a wonderful trip/break. 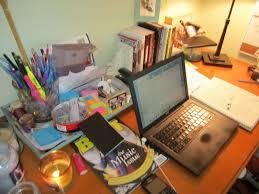 Call it a writer's vacation, which we need on a regular basis to give our back burner projects time to cook. I can't wait to see what it is ready to hatch this time. I may have a chance to find out shortly. Tomorrow I return home, launder a few clothes, and repack for a writers' retreat at Montreat, near Asheville, North Carolina. My NaNoWriMo project is on the line, and I'm hoping to come home with a headful of information about writing fiction. By then, I'll be ready to hide out at a desk behind a computer. Peace and quiet. Fun with grandchildren is in my very near future (like the end of the week), and I’m sitting in Wichita’s Barnes and Noble Booksellers store nursing a pumpkin spice latte. I’ve selected books for each of the three grandbabies, with Mom’s help. Fourteen-year-old Grey is into “apocalyptic books where teenagers make things happen”, or so says his mother, such as Malcolm’s Gladwell’s Outliers and the Steve Jobs bio. I think he’s read (and perhaps liked) Gladwell’s book, The Tipping Point also, so I’ve selected Gladwell’s new one, David and Goliath about leadership, weapons, and adversity. Eleven-year-old Avery is, with her friends, devouring the Hunger Games books, again according to Mom. I had in mind some classic, and Mom says she has read Anne of Green Gables, so I chose Little Women and Huckleberry Finn. If she’s read them, we’ll be back to a B&N pronto for a trade. “Well, what is your name?” says Mom. This patterns continues through Sally Ride, Annie Oakley, Rosa Parks, Marie Curie, Elizabeth Blackwell, Mommy, and full circle back to Isabella. It’s cute, fun, and has value beyond the first words. My kind of book. Visiting this family is such a wonderful experience of assessing kids’ reactions to their environment, relating to each other, relating to adults, and books, of course. It renews my faith in the future and provides good ongoing entertainment. I plan to take each out for a meal—just the two of us, one at a time. Since they live so far away, I want to make the most of the time. And don’t forget Mom and Dad. I’ll watch for one-on-one time with them too, but the three-kid household is normally quite wild and not conducive to quiet conversations. In fact, no way. The kids are highly social, so friends will be in and out. Revolving door. Gotta get my grandkid fix! It’s fun and it informs any assumption that I might know how to write for those ages. They have their own voices and their own ways of taking in information and assessing their own experiences. I like to watch that happen and also know that much goes on below the surface. Hopefully, all this informs my writing in a wonderful way. I come away in a cloud of wonder about how much kids know and how little they know. I’m grateful for what they can teach me. My hope is that they will say that about me some day too. Gotta get my grandkid fix! It’s fun and it informs any assumption that I might know how to write for those ages. They have their own voices and their own ways of taking in information and assessing their own experiences. I like to watch that happen and also know that much goes on below the surface. Hopefully, all this informs my writing in a wonderful way. I come away in a cloud of wonder about how much kids know and how little they know. I’m grateful for what they can teach me. My hope is that they will say that about me some day too.Fun with grandchildren is in my very near future (like the end of the week), and I’m sitting in Wichita’s Barnes and Noble Booksellers store nursing a pumpkin spice latte. I’ve selected books for each of the three grandbabies, with Mom’s email help. Fourteen-year-old Grey is into “apocalyptic books where teenagers make things happen”, or so says his mother, such as Malcolm’s Gladwell’s Outliers and the Steve Jobs bio. I think he’s read (and perhaps liked) Gladwell’s book, The Tipping Point also, so I’ve selected Gladwell’s new one, David and Goliath, for him about leadership, weapons, and adversity. Eleven-year-old Avery is, with her friends, devouring the Hunger Games books, again according to Mom. I had in mind some classics, and Mom says she has read Anne of Green Gables, so I chose Little Women and Huckleberry Finn. If she’s read them, we’ll be back to a B&N pronto for a trade. This patterns continues through Sally Ride, Annie Oakley, Rosa Parks, Marie Curie, Elizabeth Blackwell, Mommy, and folds full circle back to Isabella. It’s cute, fun, and has value beyond the first words. My kind of book. Visiting this family is such a wonderful experience of assessing kids’ reactions to their environment, how they relate to each other, how they relate to adults, and what books appeal to them, of course. It renews my faith in the future and provides good ongoing entertainment. I plan to take each child out for a meal—just the two of us, one at a time. Since they live so far away, I want to make the most of the time. And don’t forget Mom and Dad. I’ll watch for one-on-one time with them too, but the three-kid household is normally wild and not conducive to quiet conversations. In fact, no way. The kids are highly social; friends are in and out. Revolving door. Gotta get my grandkid fix! It’s fun and it pokes holes in any assumption that I might think I know how to write for these ages. They have their own voices and their own ways of taking in information and assessing their own experiences, and we writers are challenged to appeal to the uniqueness of each age level. I like to watch that happens to each kid and also watch and listen for what goes on below the surface. Hopefully, all this informs my writing in a wonderful way. I anticipate that I'll come away in a cloud of wonder about how much kids know and how little they know. I’m grateful for what they can teach me about both. My hope is that they will say that about me some day. This could easily be my desk--covered with miscellaneous everything, light coming in from the right, and a candle on the left. Writers can be neat and orderly too, or like me, some of both. Duffy weathered a writers’ conference in Des Moines last week—sort of. The first few pages of her story were critiqued by the Vice President/Senior Editor of Delacorte, which is an imprint of Random House Publishing. She had some favorable things to say about Duffy's story: good descriptions and character development, and then she listed what is not working. For one thing, I have assigned Duffy an age of 13 with a sister, Mandy, who is 16. As I said earlier, their relationship formerly worked well—lots of sharing and fun times together, but not so much any more. Then I have Mandy getting pregnant, and their relationship goes awry. The VP/critique person said the pregnancy event is too loaded an issue for middle grade readers. I do agree, which leads to major questions. Do I replace the pregnancy with another event that scrambles the family, or do I change my intended audience to young adult readers? Other issues were mentioned, but making a decision about my audience seems the highest priority before proceeding any further. Choosing middle grade or young adult will inform the language that I use, the pacing, the length of sentences as well as the age-matching thoughts and events. And, writing to a young adult audience would invite me to use 16-year-old Mandy as the main character/narrator. Much to think about. I will need a new crisis that first draws the family apart and then unites them in its resolution. Duffy’s father loses his job. I may be able to increase the seriousness of this family issue when they realize they can’t continue paying mortgage and car payments. “Will we have to move?” “Will we be homeless?” “Will I have to go live with someone else?” are questions that could preoccupy Duffy’s thinking. And I have an idea about how Duffy could contribute to the resolution of that problem in a significant way. I want to pursue that train of thought in the next few days, because Duffy is going to Montreat, North Carolina, Veterans’ Day weekend for another round of critiques at a writers’ retreat. I hope to move her story along another few steps and learn more about the strategy behind fiction writing. The switch from nonfiction to fiction via the Duffy story has been freeing. (I said that in an earlier blog when I shared about the July internet challenge, so it must be making an impression on me.) What fun to make up words and actions and events and not be confined to facts only. I’ve always said I couldn’t make up anything more interesting than typical human behavior, and I’m still convinced of that, but I am having fun making up Duffy’s life and that of her family. To move on and be ready for NC, I will be forming a new outline for the story and will soon create a synopsis to take with me. Not too many characters, a plot that builds to a fever pitch, and a satisfying ending. Sound simple? I wish. Maybe the ten years that I have been writing have made me a little wiser. I’ve decided to find the help I need right away. Hopefully I’ll avoid forming bad habits from the get-go. Which proves what I’ve decided about writing in general: there’s never a dull moment, and if the moment looks like it could become dull, write something else, like fiction. I think I can make last night’s event work as a blog by pulling up a few really good stories that will be added to the 219 athletes who’ve previously been received into the Hall. These are all athletes, coaches, or contributors who have a direct connection to Kansas—either raised in Kansas or performed their feats within the state. Let me start with Martin Gramatica, a kicker who played football at Kansas State University under Coach Bill Snyder. He was born and raised in Buenos Aires, Argentina, and didn’t play football until his senior year in high school before coming to KSU. Picture this: It’s near the end of the first half of a 1998 KSU game against Northern Illinois. Martin trots to the field and smacks a 65-yard record field goal, the only one in NCAA history without the use of a kicking tee. Sixty-five yards. Imagine that. More than one-half the distance of an entire football field in one kick. He went on to play professional football with the Tampa Bay Buccaneers for ten seasons and wracked up a career kicking extra points for an astounding percentage of 99.1%. Wouldn’t that be a fun story to write? Think about the photographs or illustrations! Martin Gramatica, record 65-yard field-goal kicker for KSU in 1998. Then there was Chuck Broyles from a mysterious place in Kansas called Mulberry, where he played eight-man football. He made a mark for himself playing football at Pittsburg State when he signed on as a student assistant, assistant, and head coach at a couple of high schools before he returned to Pitt State and duplicated the same career track. He loves the game and likes to win, but his real fun was with his players as they did their best on the field. What impressed me was his Pitt State coaching record: 198-47-2 for a .826 winning percentage. He retired with the best win record at Pitt State and in his college division. He had fun. Chuck Broyles, career college football coach with a 198-47-2 (.826) winning percentage. I’ll finish with an outstanding basketball player who was raised in Clay Center, Kansas, a few miles from my hometown. Her outstanding athleticism became obvious in high school where she earned eleven varsity letters in volleyball, track, and basketball. Named All-State basketball player during her sophomore, junior, and senior years is only the beginning of her honors. She captured the 4B state high jump title as a senior in 2000 with a leap of 5’- 6”. While at KSU, she scored a record 2,241 points and snatched 995 rebounds. Following her stellar career at Kansas State, she played seven seasons with Women’s National Basketball teams—the Minnesota Lynx, the Tulsa Shock, and the Phoenix Mercury before playing multiple seasons in several European countries. Her number three uniform was retired by Kansas State following her last game at the school in 2004. Nicole Ohlde is her name, and yes, she’s tall. Nicole Ohlde, new inductee into the Kansas Sports Hall of Fame. You should have seen the little girls flock around her to have their picture taken with her. Point of this treatise? (1) To share some interesting stories and (2) issue a warning to watch out for Kansans. Lindsborg, that’s where I live. A small Swedish community in central Kansas. I’ve heard that visitors from Sweden often declare Lindsborg more Swedish than modern day Sweden itself. I can believe it. One of Lindsborg’s claims to fame is their focus on art and artists. In some ways, Lindsborg is a haven for reclusive artists. There’s great respect for an artist’s creative habits and quirks, even when there’s a spotting in a downtown coffee shop. It’s okay to engage in conversation with them, even ask about their latest renderings, but don’t talk too long. The Red Barn Studio in Lindsborg, Kansas. The home of Lester Raymer's legacy. Two such artists who chose Lindsborg during their incubative years have left a valuable legacy that is celebrated with museums, artist workshops, and many beautiful works open to the public. One is Lester Raymer, who produced his work in Lindsborg from 1945 until his death in 1991. Following a degree from the Chicago Art Institute and establishing himself as a renowned artist in Oklahoma where he lived for a time, he moved to Lindsborg after marrying Ramona Weddle, a Lindsborg native. They lived in a hotel owned by Ramona’s parents, who gave them two vacant buildings as a wedding gift—a laundry building and a barn. Raymer converted the laundry building into a home and the barn into a studio. The barn is today’s Red Barn Studio, the public view and center of his legacy. Raymer’s artistic gift was his eye to transform ordinary things into extraordinary visions. Whether for drawings, paintings, carvings, printmaking, sculpture, pottery, or jewelry, he knew where to find what he needed to complete his project, most often among others' discarded, mundane objects. In 1960, he began making gifts for Ramona, 53 in all. They remain popular with his admirers today. At first, they were traditional items—jewelry boxes, creches—but he soon turned to making antique toys for her. A puppet was the first. Most featured moving parts, such as a carousel. The grandest might have been Noah’s ark, complete with carved animals—more than 35 pairs. Lester Raymer's toy gift for his wife. This Noah's Ark has at least 35 pairs of hand-carved animals. A second artist in Lindsborg’s heritage is Birger Sandzen. A gallery in his honor is a popular place for art exhibits and performances as well as an extensive display of his oil paintings, prints, and drawings. Sandzen Art Gallery, Lindsborg, Kansas, featuring Sandzens' oils, prints, and drawings, as well as work of many other artists. Home for musical performances, as well. After being raised and educated in Sweden and France, Sandzen began teaching at Bethany College in Lindsborg in 1894, where he remained for 52 years. The Smoky Hill Valley River area provided subject matter for many of his landscape paintings. He adopted a thick, textual, impasto style of painting. His work has been compared to Vincent van Gogh and Paul Cezanne. He received numerous honors and honorary doctorates during his years in Lindsborg, as well as recognition for promoting cultural relations between the United States and Sweden. The gallery on the Bethany College campus featuring his work was dedicated in 1957. Lindsborg Middle School students presenting their personal writing at the Sandzen Art Gallery. A Sandzen oil painting provides a lovely backdrop. Becoming acquainted with either of these artists and viewing their honored works is reason enough to come to Lindsborg. But, there’s much more to share about the beauty and charm of living in this quiet, ethnic community. Look for more later. One thing you can count on: Life is hard. And it just gets harder. So you want to find ways to climb around and find some joy—do something fun, just for you. Playing music. That’s how the people in a book I’m working on faced life. Although their lives are different, this is what is common among them. They all use music to get through. I have written a story about Clayton and his favorite lamb, which I've named Smokey. It will be published October 12 in a newly formed England-based online children's magazine called AlfieDog. I took a side trip to the Nelson-Atkins Museum of Art while we were in Kansas City for the Red Sox Games. Made a visit to the Frida Kahlo and Diego Rivera exhibit. Nice diversion. One of Frida Kahlo's fifty-five self portraits. Notice the image of Rivera on her forehead, a symbol of his constant presence with her. Kathlo's artwork is colorful and full of emotion. Even though she had a painful life--both physically and emotionally--she left a legacy that brings people to see her art, write books about her, and be left wanting to know more. The single dark eyebrow is her iconic look and her fifty-five self-portraits make a lasting impression. "I paint myself because I am so often alone and because I am the subject I know best," she wrote in an autobiography co-written with Andrea Kettenmann. She not only regularly painted herself, but she also changed her birthdate from July 6, 1907, to July 7, 1910. The latter date coincided with the year of the beginning of the Mexican revolution. She wanted her birth to be associated with the starting point of modern Mexico. Kahlo was born on the outskirts of Mexico City in a home known as The Blue House. She lived there until she died at age 47. Her life was permanently changed in 1925, at age 18. She was riding in a bus that collided with a trolley car. She spent three months recovering from broken bones throughout her body and never was pain-free for the remainder of her life. She was studying medicine at the time, but she began painting to pass the time while she recovered. Her self-portraits include symbols of her physical and psychological wounds. "I never painted dreams," she said. "I painted my own reality." Kahlo and Rivera in 1932, three years after their first marriage. Kahlo's association with Rivera began in 1927 when she sought his opinion of her work. He was impressed and became a frequent, welcomed guest at The Blue House. He encouraged her to continue painting. He saw how she was influenced by her Mexican heritage--bright colors and dramatic symbols. Even though Rivera was twenty years older than Kahlo, they married in 1929. It was a troubled marriage, complicated by extramarital affairs for both of them. They divorced in November 1939, but remarried December 1940. They couldn't seem to live with each other or without each other. 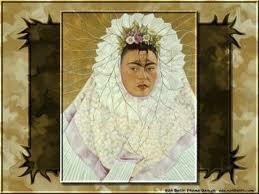 By 1939, the Louvre in Paris had acquired one of Kahlo's paintings. This was her single claim to fame while she was alive. Otherwise, she was known as Rivera's wife. Only toward the end of the 1970s did her style gain popularity. By then, exhibitions of her work had been shown worldwide. Even movies had been made about her life and her work, as well as books written. She continues to be followed and her work explored. In 2001, she was the first Hispanic woman to be honored with a U.S. postage stamp, and on her one-hundreth birthday--July 7, 2010--Google replaced its standard logo with a Kahlo portrait. In August of that year, the Bank of Mexico issued a new 500-peso note with Frida and one of her paintings on one side; Rivera on the reverse side. Rivera is best known for his large fresco works. He helped establish the Mexican Mural Movement in Mexican Art with his huge, colorful works. His art tells many stories through the murals that exist all over Mexico and from San Francisco to New York City. His style was based on large, simplified figures and bold colors with an Aztec influence. In the meantime, Rivera joined the Mexican Communist Party. He began a huge project for the Public Education in Mexico City, consisting of one-hundred and twenty-four frescoes. He finished in 1928. Politically, he lived on the edge and eventually was expelled from the Mexican Communist Party. Some of his work for Public Education was struck down and painted over for the same reason. Kahlo lived and worked side by side with Rivera, while he received much acclaim (both positive and negative) and she, almost none. Walking the Nelson-Atkins gallery, looking first at Kahlo's self-portraits and then viewing Rivera's larger works took my breath away. Their expressions of pain and grief mingled viscerally with moments of beauty and joy. The trauma that happened between them was palpable, not to be missed. Color and emotion dominated the exhibit. It was a good investment of time and dollars. And an additional bonus: the Musuem Bookstore will now carry my book about Gordon Parks. Day well spent. Frida Kahlo's Blue House, Coyoacan, Mexico, is now a museum, open for tourists. Before graduating from high school in Delphos, Kansas, Thelma decided to get away from home. She wanted an adventure.